A new clinical trial offers means of protection. In the study, reported by Larijani, Budoff and colleagues, in the Journal of Nutrition, in August 2012, firefighters, with established cardiovascular disease, who ingested a combination of Kyolic Aged Garlic Extract (AGE) and CoQ10 showed a significant reduction in atherosclerotic plaques and an increase in blood vessel flexibility, lowering their risk of a heart attack. Kyolic Aged Garlic Extract is manufactured by Wakunaga of America, by a slow process of extraction and aging of organic garlic, at room temperature. 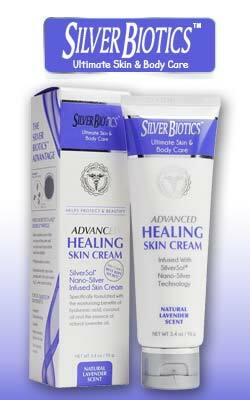 The process enriches AGE with antioxidants that neutralize reactive oxygen species (ROS). These species that include free radicals are toxic molecules produced in normal metabolism and increased during inflammation. ROS play a role in triggering and/or exacerbating cardiovascular disease, by oxidative damage and oxidative stress; these increase with age and must be destroyed by antioxidants. Among the highly effective antioxidants in AGE are its water-soluble stable organosulfur compounds such as S-allyl cysteine and S-allyl mercaptocysteine (unique to AGE), Allixin and other substances with important biological activity. S-allyl cysteine (SAC), the most abundant organosulfur compound in AGE has a 98 percent bioavailability (i.e. is readily absorbed from the intestine to the circulation) and provides most of AGE’s health benefits; SAC is used for standardization of AGE. The heart is highly susceptible to oxidative stress. High cholesterol levels, that occur more often in aging, and progressive oxidative damage to LDL cholesterol, increase the risk of coronary atherosclerosis and heart attacks (myocardial infarction, MI). Aged Garlic Extract has been shown to lower cardiovascular risk factors in both clinical and pre-clinical settings. AGE has been shown to lower blood pressure, inhibit platelet aggregation and adhesion (thus helping prevent blood clots), reduced LDL cholesterol (the bad cholesterol) and elevate HDL (the protective cholesterol); AGE prevents LDL oxidation that is an exacerbating factor in athrogenesis. S-allyl cysteine inhibits the cholesterol synthesizing enzyme HMA-CoA reductase, by 30 –40 percent, with an additive effect with lipid lowering statins. Breakthrough finding in clinical trials by Dr. Matthew Budoff at UCLA Medical Center have shown that, in addition to lowering LDL, homocysteine and increasing HDL, the good cholesterol, AGE’s decreased atherosclerotic plaque progression by significantly inhibiting the stiffening calcification in coronary arteries as well as improve the function of endothelial cells that line the arteries. Coenzyme Q10 (CoQ10), is a crucial component of the oxidative process in energy production and an essential antioxidant, that regenerates other antioxidants. CoQ10 protects cells against oxidant damage that plays a role age related conditions, including cardiovascular disease. The heart is highly susceptible to oxidative stress. High cholesterol levels, that occur more often in aging, and progressive oxidative damage to LDL cholesterol, increase the risk of coronary atherosclerosis and heart attacks. Any increase in oxidant stress, for example in aging and disease, decrease the critical availability of CoQ10 and calls for overcoming the deficiency by a dietary supplement of CoQ10. Coronary artery calcium scanning has been shown to be highly specific for atherosclerosis, and elevated coronary calcium scores are predictive of cardiovascular events, independently of other cardiovascular risk factors. Patients with an increased burden of atherosclerotic plaques and increased coronary calcium scores, are about 10 times more likely to suffer a cardiac event over the following 3–5 years. The techniques of electron beam tomography and multidetector computed tomography accurately detect and quantify coronary calcium scores, improving the tracking of atherosclerosis and the prediction of a potential heart attack. Earlier studies by Dr. Matthew Budoff and colleagues have shown that the ingestion of Kyolic AGE dramatically decreases the progression of calcification and plaque formation in heart diseased patients as well as lower other risk factors such as LDL cholesterol, homocysteine and triglycerides. Another predictor of cardiovascular disease is a change in the vascular endothelium, an active, tissue that regulated vascular tone, blood circulation, fluidity, coagulation, and inflammatory responses. Cardiovascular risk factors affect many of the normal functions of the endothelium. In particular, oxidized LDL cholesterol initiates a series of events that include, endothelial dysfunction, local inflammation, and an alteration in vascular surface that precedes the formation of blood clots. These changes can result in plaque formation leading to plaque rupture and a heart attack. Loss of endothelium-dependent vasodilation is a feature throughout the development of atherosclerosis and measurement of endothelial function can be used to determine risk. An impaired endothelium-dependent vasodilation predicts the risk of a coronary event in patients with coronary artery disease (CAD). Oxidant stress and increased systemic inflammation may contribute to this endothelial dysfunction. Aged Garlic Extract, that is rich in antioxidants, has been shown to increases the relaxing factor nitric oxide and decreases the output of inflammatory substances. The new year-long randomized double-blind placebo-controlled trial, carried out by Dr. Budoff and colleagues, at the University of California School of Medicine in Los Angeles, enrolled 65 firefighters, ages around 55, with established cardiovascular disease. Prior to the beginning of the clinical trial researchers performed coronary artery calcium scanning, evaluated base levels of inflammatory and oxidative stress markers and determined pulse wave velocity, that measures arterial stiffness. Endothelial function, was measured by digital thermal monitoring. In the UCLA clinical study the firefighters were divided into two groups, the first group received a daily dose of four capsules, each containing 300 mg Kyolic AGE and 30 mg CoQ10. Total ingestion per day was 1200 mg AGE and 120 mg CoQ10. The second group of firefighters received identical capsules containing a placebo. Participants underwent quarterly visits and a one year follow-up. Evaluations at baseline showed no differences in age, cardiovascular risk factors, vascular elasticity and endothelial function between the placebo group and the AGE/CoQ10 groups. Following one year of supplementation researchers found that, compared to placebo, the Kyolic CoQ10 group showed a fourfold decrease in the progression of arterial calcification, a sevenfold reduction in inflammatory markers, lipoprotein-associated phospholipase A2 and a significant decrease in arterial stiffness, thus reducing important risk factors for hear attacks and stroke. The results also showed increased vessel elasticity and endothelial function. 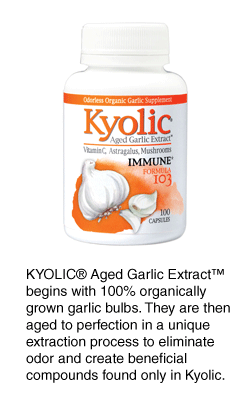 Cardiovascular protection by Kyolic Aged Garlic Extract, an odorless garlic supplement with high antioxidant activity, has been shown and confirmed in several clinical studies; the present clinical trial shows that protection by AGE and its ability to dramatically reduce CVD risk factors is enhanced by combining AGE with CoQ10, thereby amplifying their antioxidant activities and potential to help prevent a heart attack.